Discussion in 'In the News' started by Teslaliving, Mar 22, 2017. I first learned of dash cams through my brother-in-law who drives trucks for a living. A recent incident in which he caught a fellow huLHG7mvlng[/MEDIA]]trucker road raging convinced me that I also needed a dash cam as a way to capture the more, let’s say, interesting moments that come with daily driving. Dash cams come in two basic flavors - single channel and dual channel. Single channel dash cams are forward facing cameras that record forward facing events that take place in front of the car. Dual channel dash cams on the other hand can capture video from the front of the car as well as what’s behind it. There’s also the option of recording the inside of the car (yourself and passengers) through the second channel as opposed to using the second channel for capturing rear facing video. Recreation: To capture footage of your drive for recreational purposes. After all, you never know when you’ll come dpmXyJrs7iU[/MEDIA]&feature=youtu.be]face to face with a meteor. 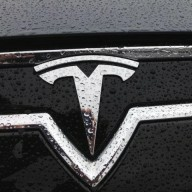 Article: Should I Get a Dash Cam for My Tesla?